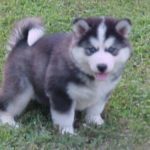 The Alaskan Husky – not to be confused with the Siberian Husky or the Alaskan Malamute – is typically used as a working dog, but can make an excellent companion dog, too! 2. …which means their looks can vary! 4. Love exercising? So does she! She is usually medium to large in size, weighing up to 66 lb (30 kg) and measuring up to 26 inches (66cm). 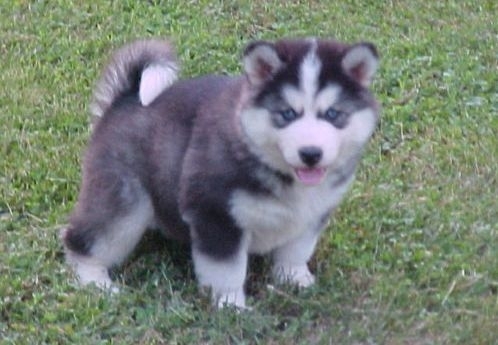 She comes in any color or mix of colors (most commonly gray, black and white) and any pattern of markings. She has a larger and leaner body than the Siberian Husky. 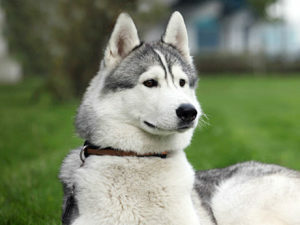 Her coat can be short to medium length, with a very heavy undercoat, while the Siberian’s is always medium length. She usually has brown eyes, while the Siberian has blue eyes. 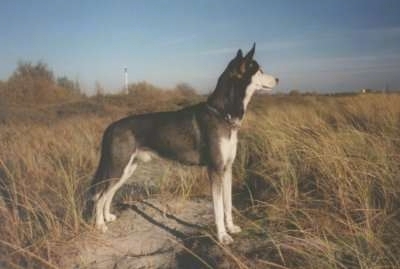 She has a more pronounced tuck-up than the Siberian Husky (the tuck-up is the part of the dog’s body where the rib cage and hind legs join when viewed from the side). 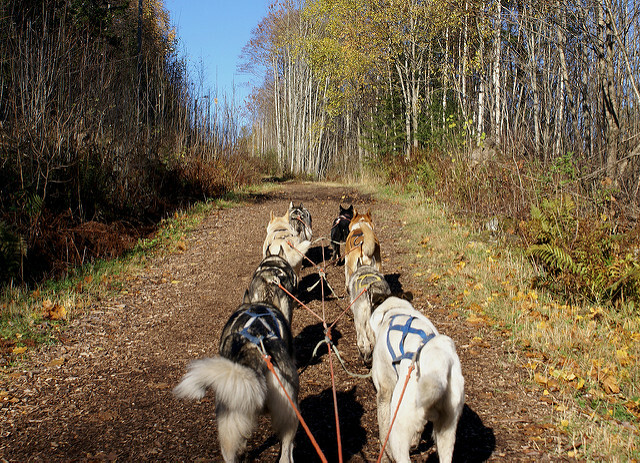 There’s a reason these dogs are chosen for taking part in sled racing: they can go fast. 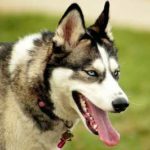 Vet Street lists the Alaskan Husky as the 7th fastest dog in the world; she has been recorded as traveling at 28 mph (45 kph). 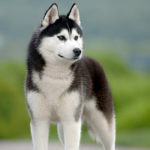 The article also names her the ‘marathoner of dogs,’ which is another quality of the Alaskan Husky: extreme endurance. There are particular strains of Alaskan Husky that are bred to race for very long distances – of up to 1,000 miles! 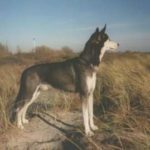 Given her working background, it shouldn’t come as a surprise that the Alaskan Husky is a great companion for hikers, runners, and mountaineers. This dog craves exercise – and lots of it. If she does not get it, she is likely to dig, howl or chew anything she can find. 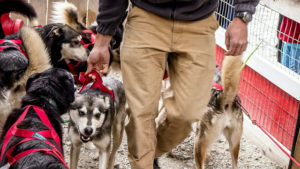 A high-energy dog needs a high-energy owner, so think twice about getting an Alaskan Husky if your idea of exercise is a quick stroll around the block. She will also do well if you give her a job while you’re exercising together. Try out a doggie backpack on her – she can carry essentials like your cell phone and much-needed bottles of water. By fitting her with this pack, you will be fulfilling a need in her, as carrying weight is what she was born to do – plus you will help her burn up more energy. The pack should hold no more than 10-12% of your dog’s body weight. 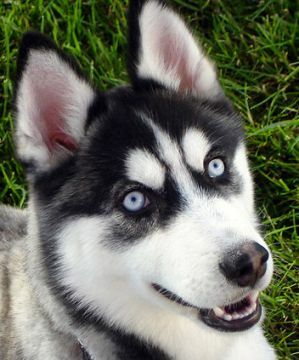 Alaskan Huskies also tend to do very well in agility classes, where they can burn off energy while you train her, show her who’s boss, and strengthen your bond with her. 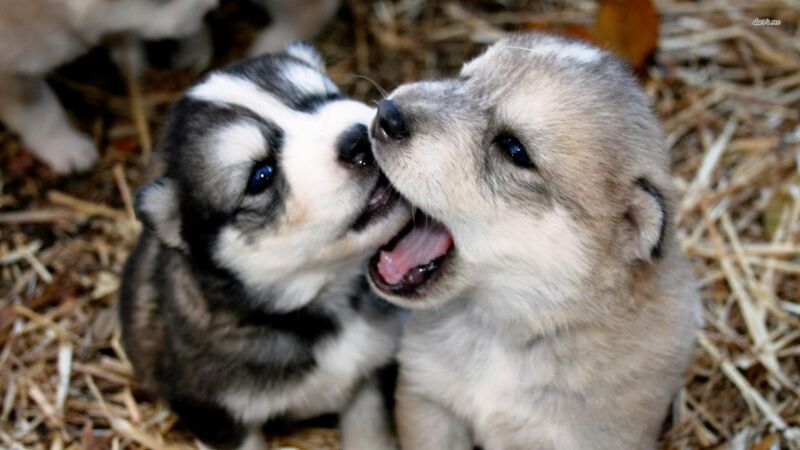 Check out these Alaskan Husky puppies, who seem to have tons of energy and stamina! 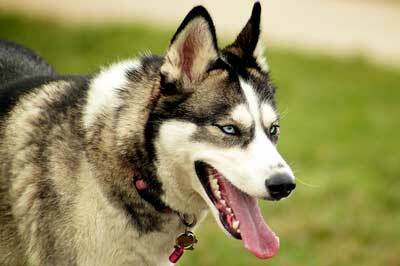 The Alaskan Husky cannot live in very hot climates. This is perhaps another unsurprising point, given that she hails from Alaska, where temperatures can drop as low as 80 degrees below freezing (-62.2°C). If you live somewhere where the temperature goes above 80 degrees (26°C), don’t get an Alaskan Husky. She will suffer terribly, as she has very thick fur and a thermal underlayer – just imagine wearing a wool sweater in the blistering heat! 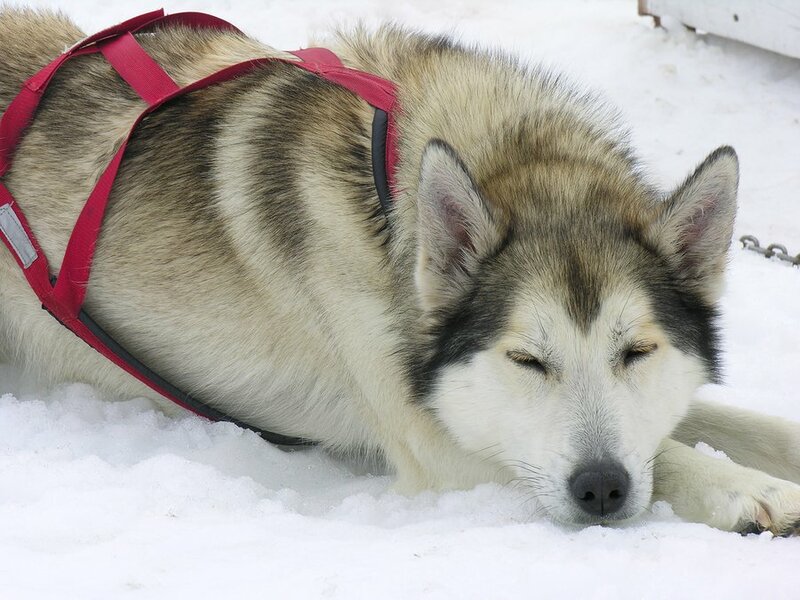 You shouldn’t exercise your Alaskan Husky in temperatures above 70 degrees (20°C). 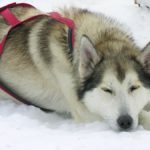 In summer months, it is a good idea to take out your Alaskan Husky in the mornings or the evenings when the sun is lower, and the temperature has dropped. Make sure you provide her with lots of water and don’t go at too fast a pace if you notice her struggling. Another important point: do NOT shave your Alaskan Husky. It might seem like you will be alleviating her when it hots up, but actually, you will only put her at risk of sunburn and take away her ability to regulate her body temperature (a task her under layer is in charge of). 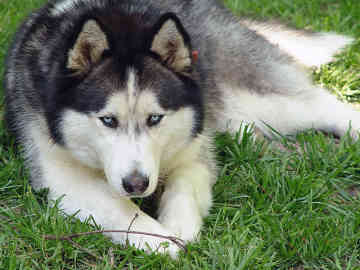 Alaskan Huskies are known to be calmer than the Siberian Husky and the Alaskan Malamute. Providing they get the exercise needs met, they are generally mellow dogs who will be happy to settle down with you at home. For this reason, they are good with children. If you want a guard dog, she isn’t the dog of choice, as they are usually incredibly friendly with strangers. She is more likely to sniff and wag her tail than be suspicious or bark. 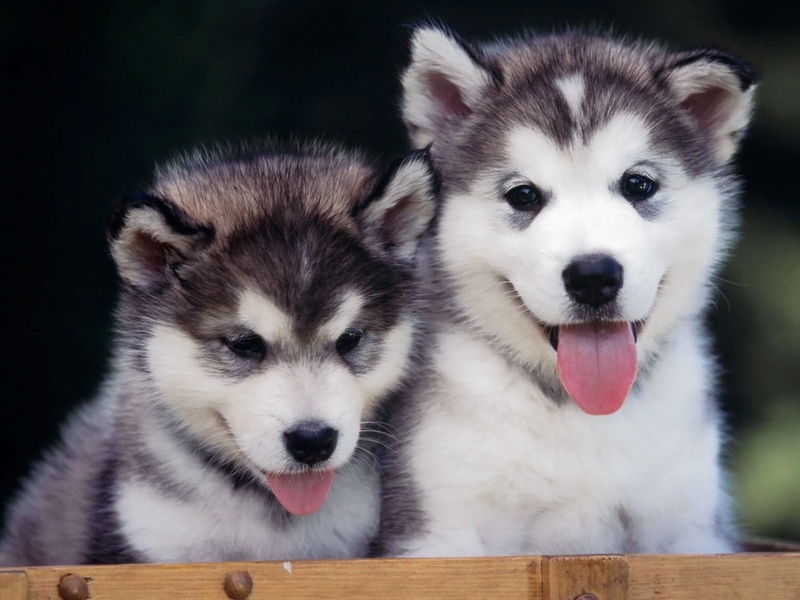 Alaskan Huskies have a strong pack instinct, having been bred to work closely with people and other dogs. 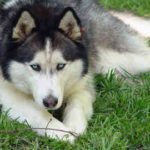 They are gentle with people and need lots of contact with you, which makes them excellent companion dogs. They are also incredibly sociable with other dogs, so they fit in well with a family who already has a dog or who would like more than one dog. You should begin training your Alaskan straight away. She is incredibly intelligent and very trainable; even at 8 weeks of age, she can learn many basic commands. 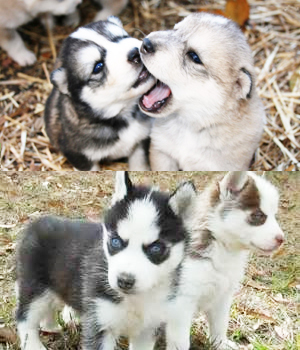 That being said, Alaskan Huskies can have a stubborn streak. If you tell her to do something she doesn’t really feel like doing at that very moment, she may well not obey. 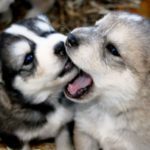 For this reason, it is important you show strong leadership with your Alaskan Husky from the word go. 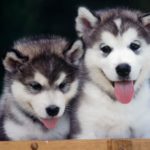 Perhaps due to their hybridization, these dogs tend to be healthy and can live for up to 15 years. 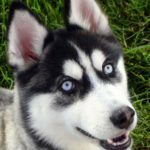 Is the Alaskan Husky the one for you? Leave me a comment below and let me know! I just learned a lot about our dog wolf he’s a beautiful dog he love people he and most of all he love us the Jackson and we love our baby wolf I have really learned a lot about my dog wolf thanks. 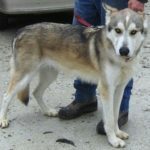 We owne a 5 years old husky dog, but live in the north of Norway. I love this dog, she is pretty calm and get a lot off long trips. She loves to be outside, but also get inside and get kuddle. She has to have a strong leadership with her, because she will try put to be at the top of the rang in home. 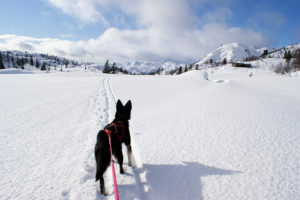 But, if you love being outside, doing hiking, skiing, tenting, mushring, she is the perfect dog ! Great article. You are very accurate in your description of the alaskan. Ours is now 17 months. 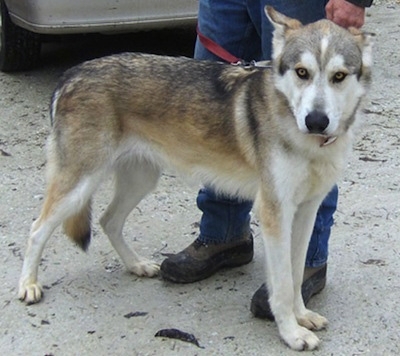 His Mom is a Siberian his Dad an alaskan. Very talkative, loves long brisk walks and activities of any kind. Real pack dog for sure. He is short haired with beautiful brown eyes. Great companion and he gets along really well with our two older golden retrievers.